Make your Pater beads stand out with your favorite color or mix of colors. 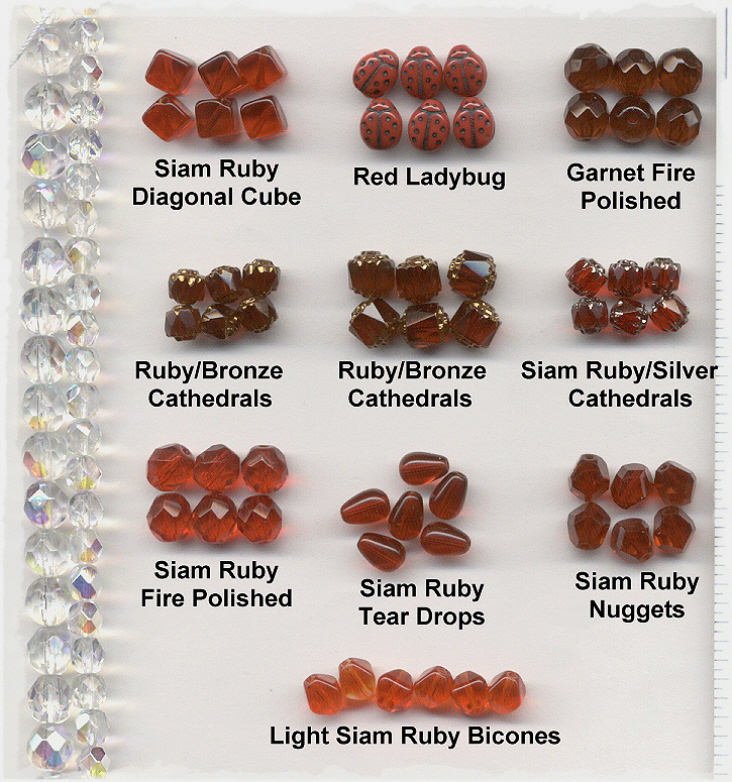 The above picture features many of the Red Czech glass Pater bead options along with a string of 6mm & 8mm fire polished beads in order to help get an idea of size and visual balance. Prices start at .35 (for all 6 beads) and go up from there depending on color, size, and shape.